United States, California, Joshua Tree National Park. From The lookout point at Keys View one can see the Coachella Valley and Salton Sea. 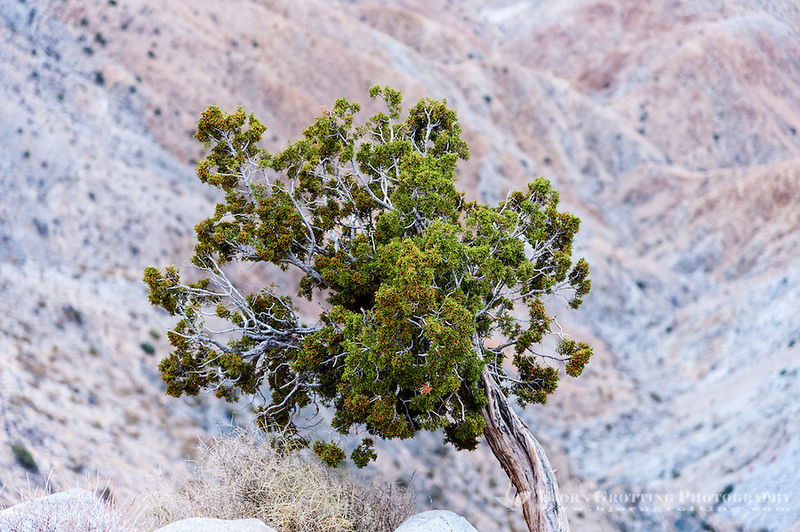 A California Juniper.